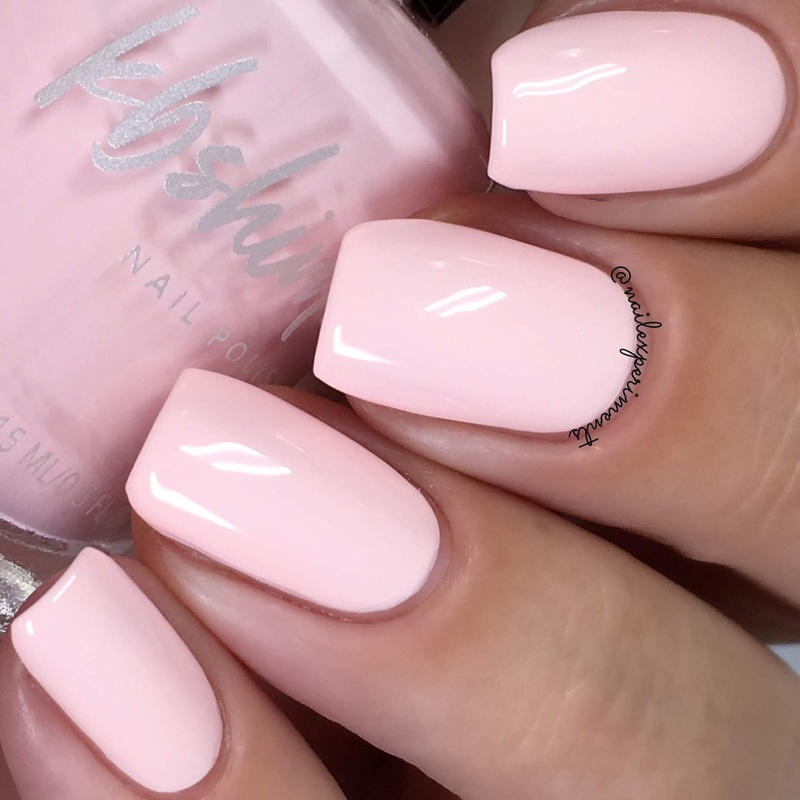 Hi friends, welcome back! 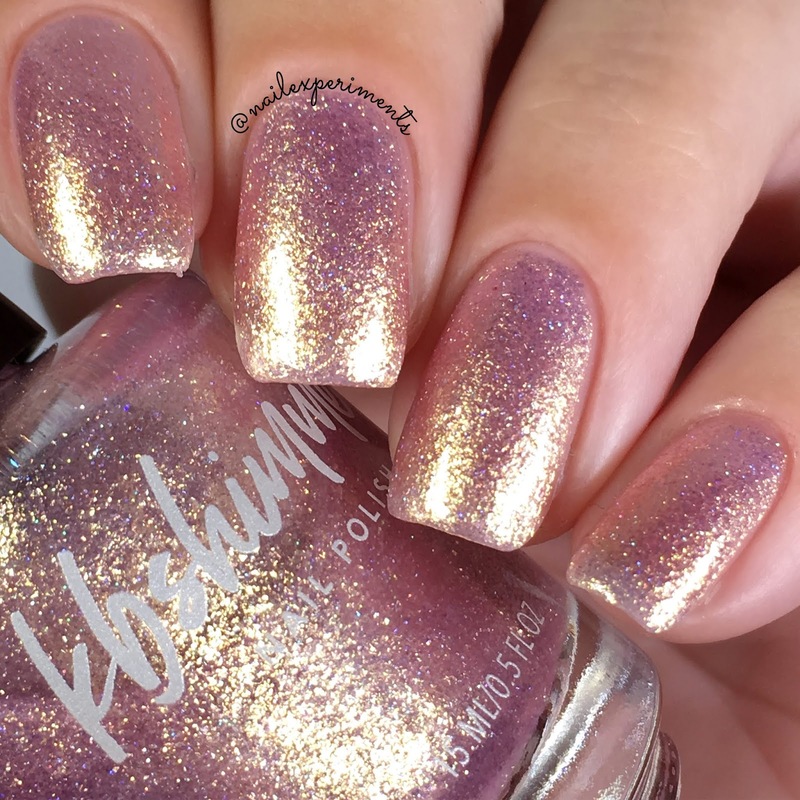 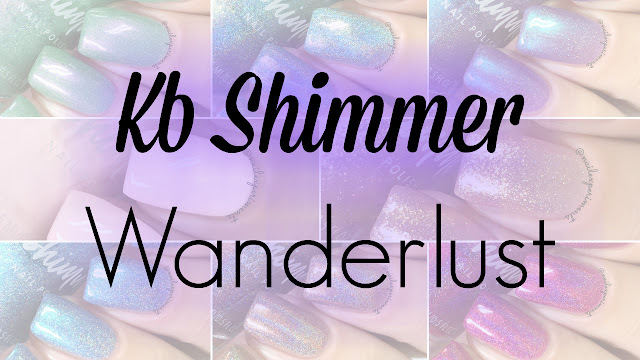 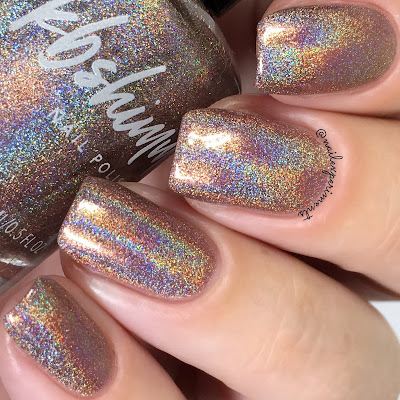 I'll be sharing swatches of the Kb Shimmer Wanderlust collection launching June 15th at Harlow & Co for $12.99 each, along with the 2 Harlow shop exclusives! Note: In order to avoid sounding repetitive, all my swatches were sealed with the Kb Shimmer Clearly On Top top coat. 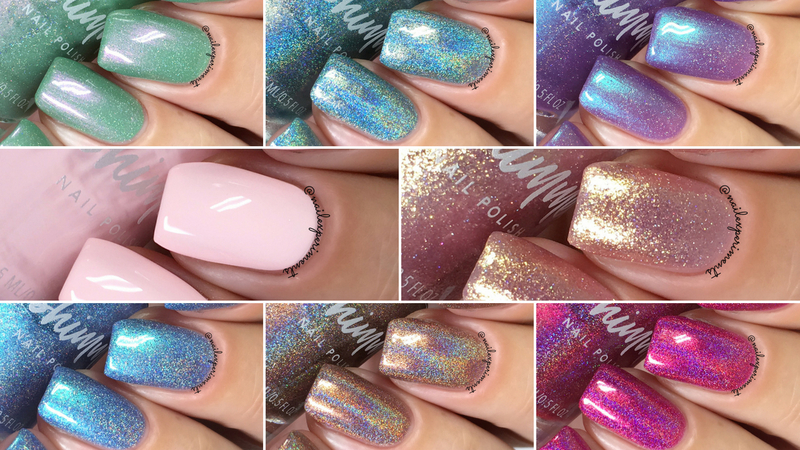 Let's get right on into the swatches! 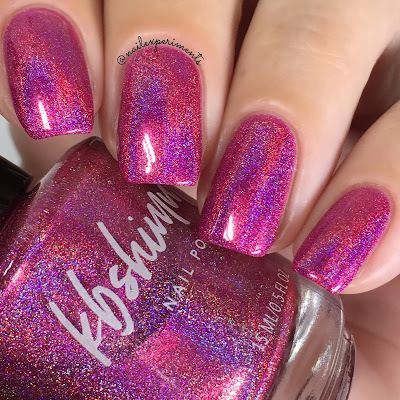 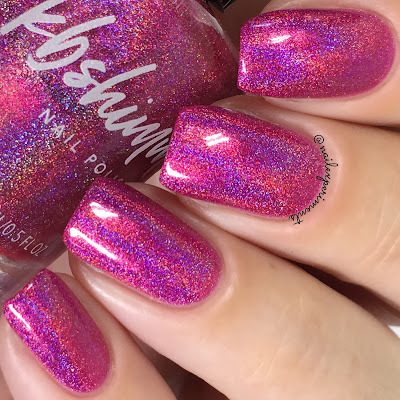 Wander-ful World is an electric shade of magenta pink filled with linear holographic pigment. Rise & Grind is a lightened brown linear holographic. My swatches of Rise & Grind are shown in 2 coats, paired with top coat. Don't Fear The Reefer is a minty aqua green shade, loaded with linear holographic pigment. 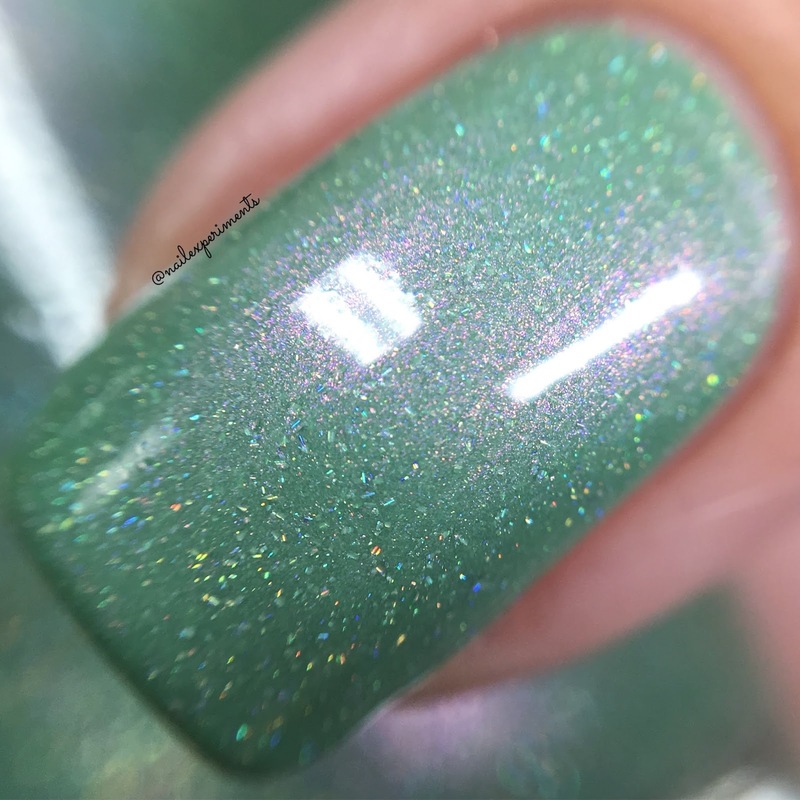 My swatches of Don't Fear The Reefer are shown in 2 coats, paired with top coat. 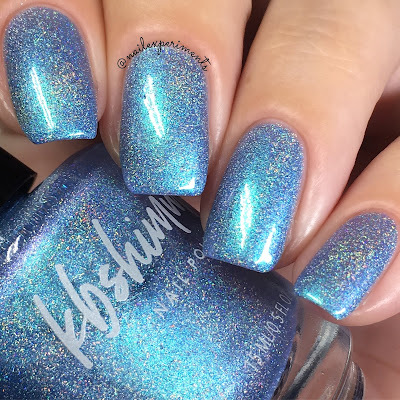 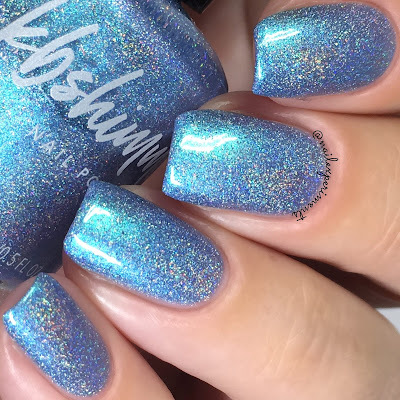 Now & Zen is a blue that has colour shifting shimmer that takes this polish from blue, to aqua to lavender depending on the angel and lighting. 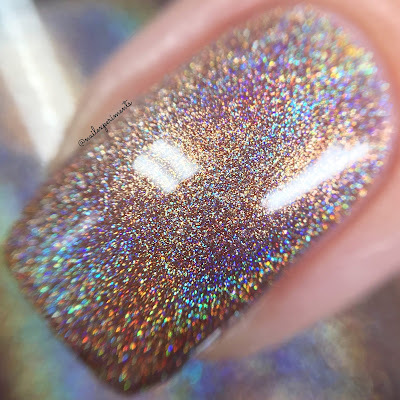 My swatches of Now & Zen are shown in 3 coats, paired with top coat. 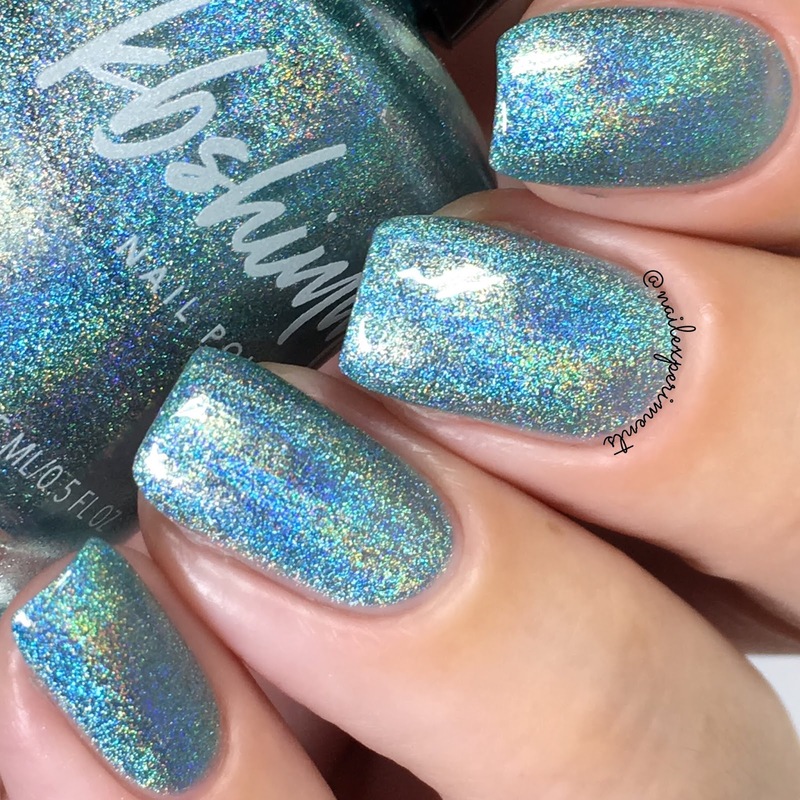 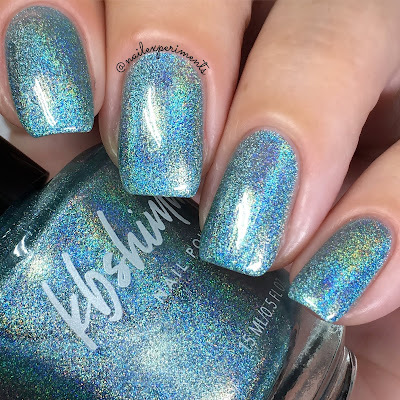 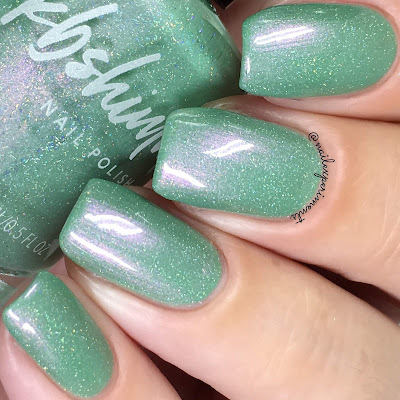 Cactus If You Can is a soft green with a soft pink shimmer and micro holographic sparks. 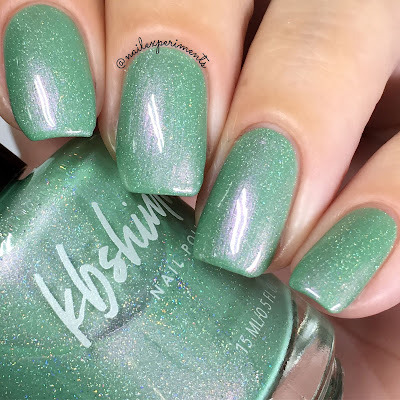 My swatches of Cactus If You Can are shown in 3 coats, paired with top coat. 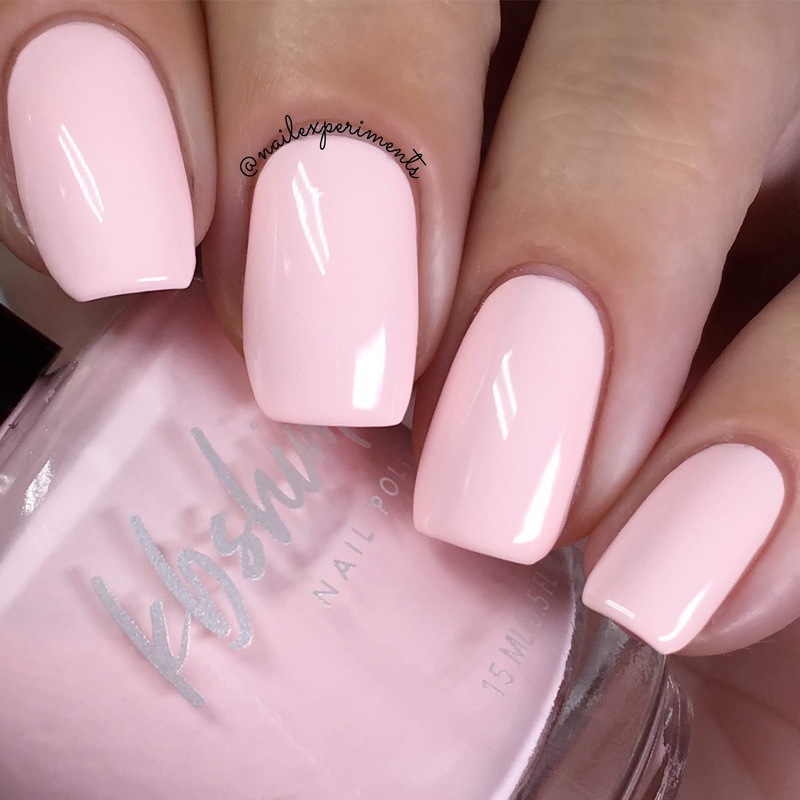 Meet Me At The Barre is a pale pink creme with hints of coral. 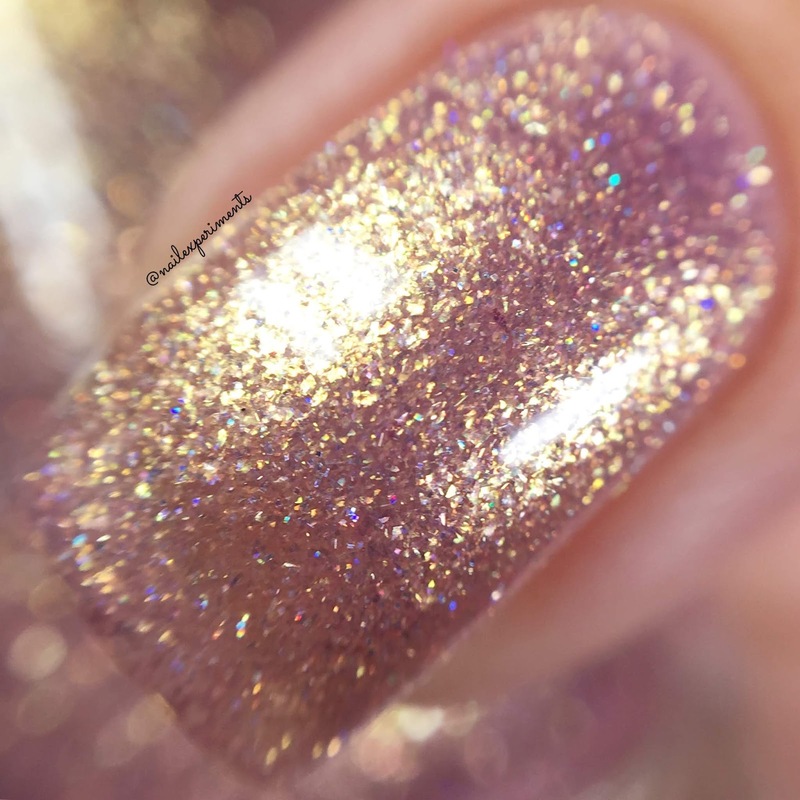 My swatches of Meet Me At The Barre is shown in 3 coats, paired with top coat. I found this one to be a bit on the streaky side and reached full opacity with the 3rd coat. 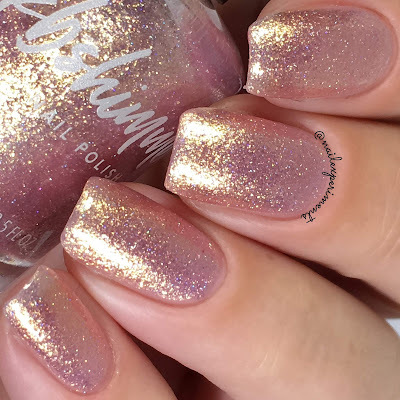 Hakuna Moscato is a blushing rose gold micro flakes surrounding a scattering of micro holographic glitter. 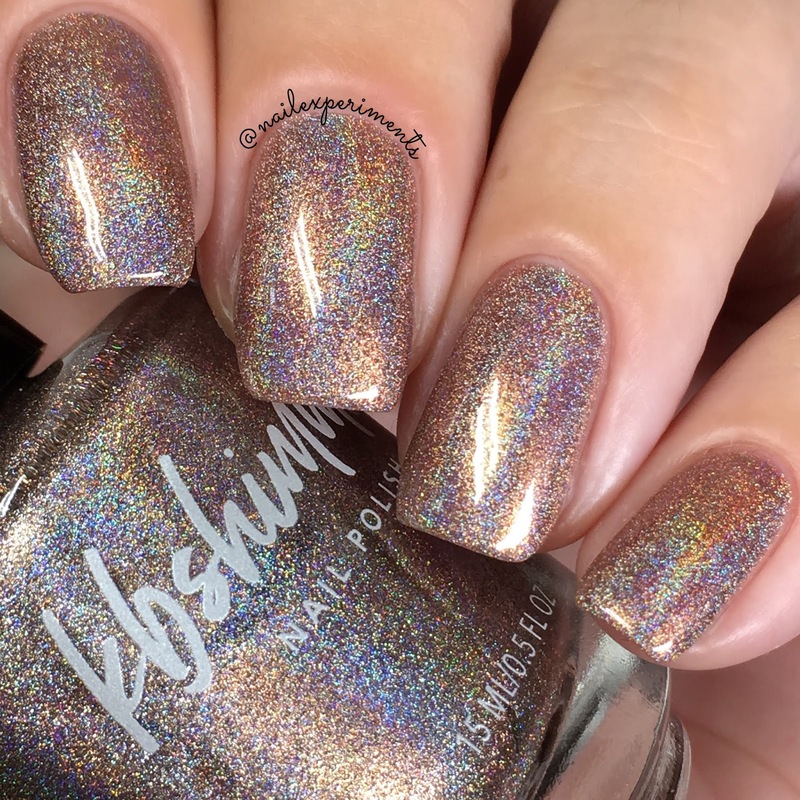 My swatches of Hakuna Moscato are shown in 3 coats, paired with top coat. 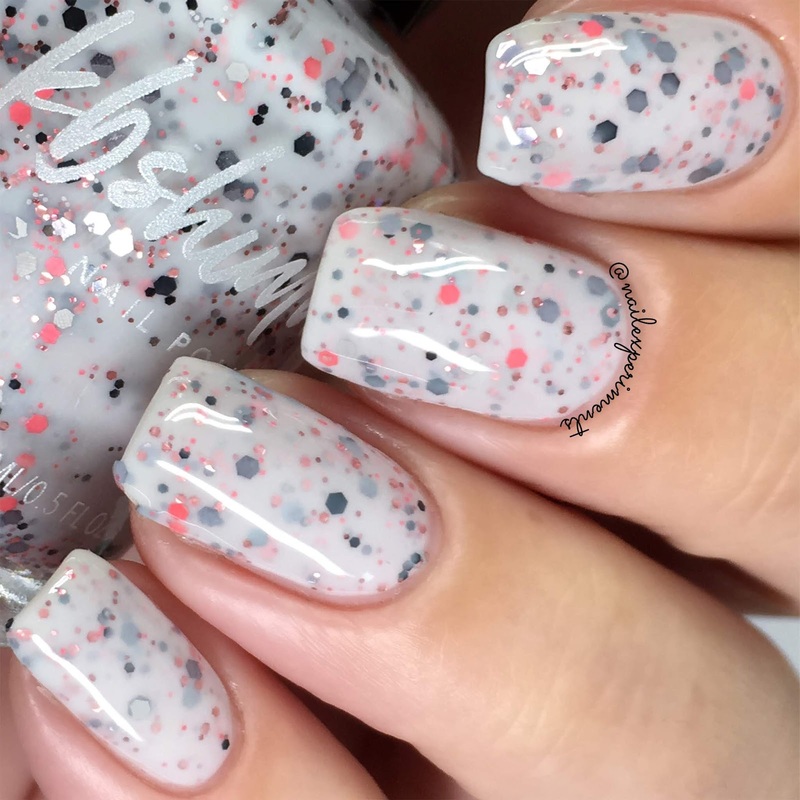 This one is versatile in the sense of it being able to be used as a topper in 1 thin coat. 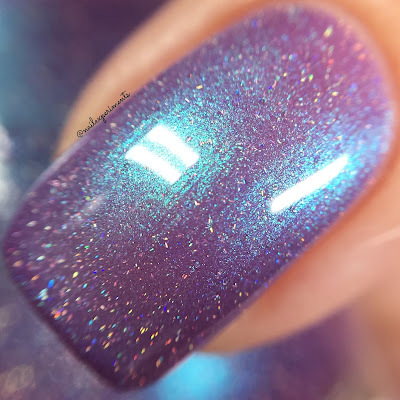 Succ It Up is a shimmer purple with holo micro flakes and a blue green shimmer. 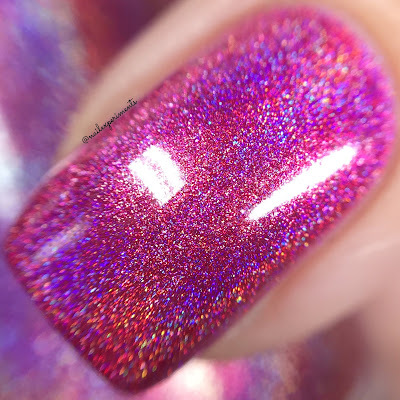 My swatches of Succ It Up are shown in 3 coats, paired with top coat. 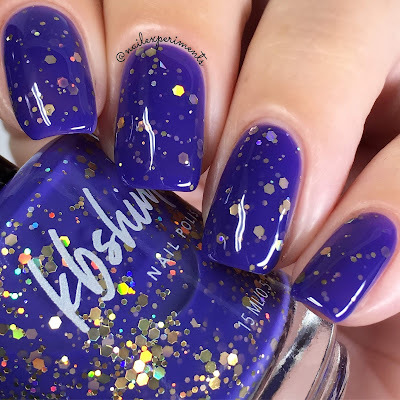 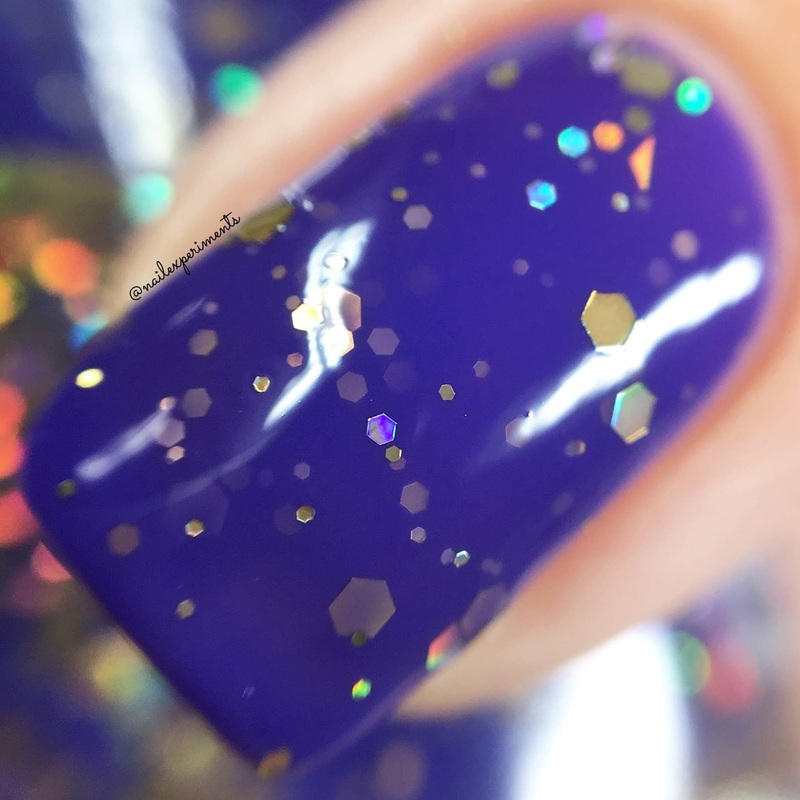 Regal-ize It is a rich grape purple jelly with multiple sizes of gold holographic hex glitters. 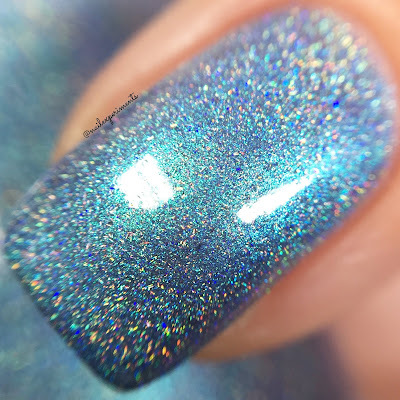 My swatches of Regal-ize It is shown in 3 coats, paired with top coat. 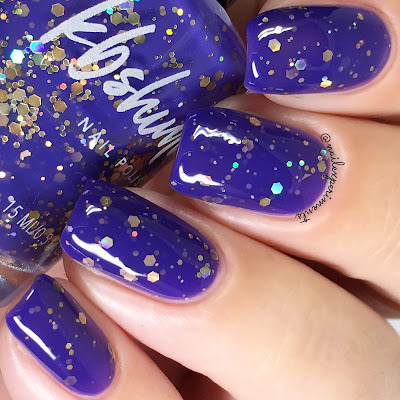 The glitters lay flat and you can enjoy a smooth finish once sealed with top coat. Coral Of The Story is a milky white crelly loaded with multiple sizes of black and coral next glitters. Along with a sprinkling of rose gold metallic glitters. 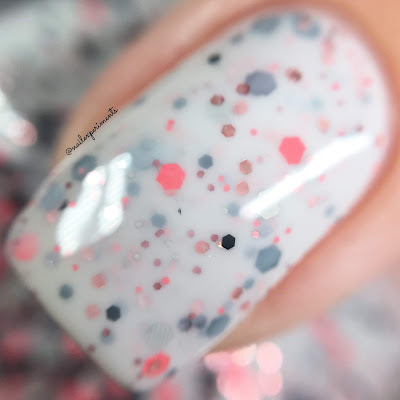 My swatches of Coral Of The Story is shown in 3 coats, paired with top coat. 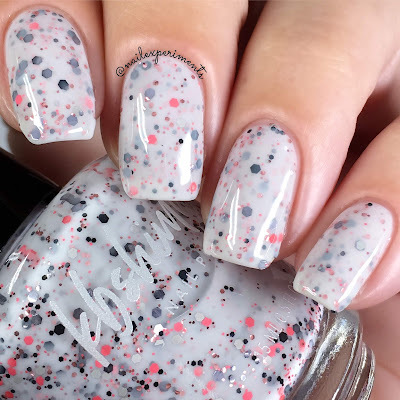 This one brought back my love for crellies and forgot how much I love me a good crelly!